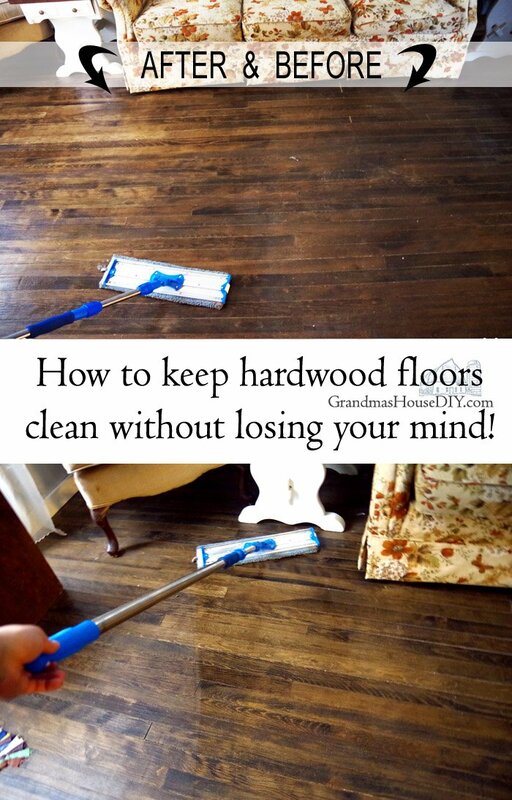 How to clean hardwood floors without losing my mind! My tips & tricks! 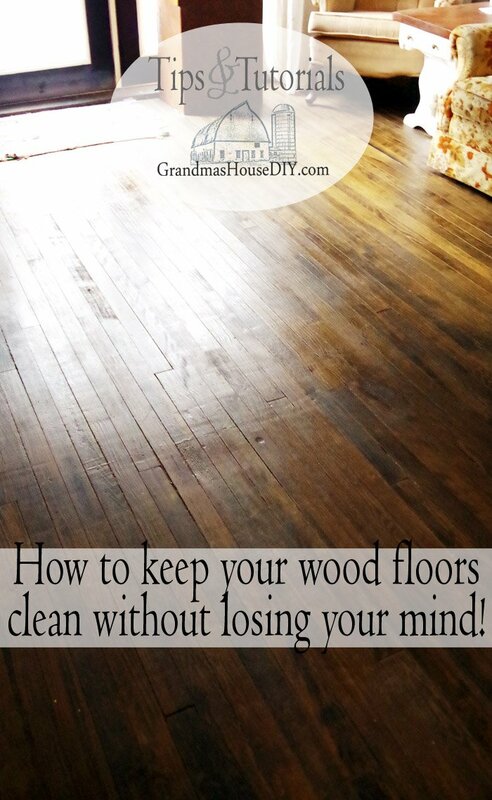 How to clean hardwood floors without losing your mind! My tips & tricks! Its funny how fantasies go, I hate tile and I’ve never been fond of carpet so every last square inch of my home is hardwood. They were waiting for me for a hundred years under layers of ancient linoleum and grime and when I unveiled them I swear I could hear angels singing. I painstakingly sanded and restored them and then I stained them in the dark walnut color of my dreams. They were (are) totally stunning. Totally. And where my home was lacking a hardwood floor I simply made my own to match the old as best I could. Here’s the thing though, up here in my very specific spot in northern MN I live with VERY sandy soil. I’m not far enough north to hit the iron range and all the clay up there and I’m not really far enough south to encompass the black dirt of farming country. No, millions of years ago, when all those glaciers moved on by and left Minnesota all of those gorgeous lakes they also left a whole lot of SAND – and that sand is somehow always all over my hardwood floors. It is enough to drive me crazy. Even if I take my shoes off at the door it just doesn’t matter eventually you can see TRAILS where I walk like I’m in a fricking forest or something! By the time I get to bed at night I have to wipe the dirt and the sand off of my bare feet just from walking across my master bedroom and this is literally just a couple days after I’ve swept and mopped! Now I know why all the old pictures show rugs by the beds. I’ve read countless bloggers online just as stunned as I am at how hard it is to keep hardwood floors clean, at least I’m not the only one! 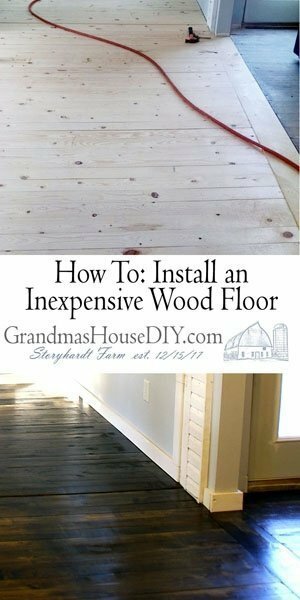 And no floor shows dirt worse then DARK hardwood floors like mine. Even my wood staircase going up to my bedroom starts looking like something out of a horror movie within a week after cleaning it. So, how do I cope? Well, honestly, I’ve put blinders on to a certain extent or I would just lose my mind! Over the last two years however I have found a couple of things that have helped me keep clean hardwood floors. 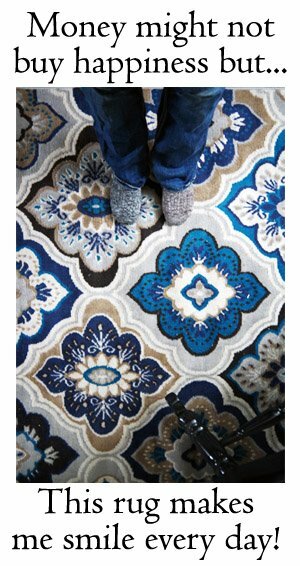 First of all is the obvious one: RUGS. LOTS OF RUGS. Rugs at every single door and, the most important rug, the one on my front step. This door mat here has helped SO much. Every month when I shake it out it literally drops a sand box on my front step. Keep note though the only thing rugs do is collect dirt, it helps cut down with tracking it around of course but that’s it: when I pick them up there is a rug shaped pile of dirt beneath them. Of course the next thing is a good broom with a decent dust pan. No, they have not improved either design and yes you will need to go back and get that annoying line of dirt that all dust pans leave behind. Yes you can use the mop I mention below for this sweeping but I actually prefer just a good old fashioned broom to start with. From there I tried everything. I tried a little hardwood floor vacuum cleaner before destroying it after sucking up too many wood chips (I just can’t have nice things) before I finally found THIS. The greatest giant mop ever made that comes with all the pads you need (that I just throw in the laundry when they’re dirty) and it even has an extendable handle and a swivel head. I never thought in all my years I could get excited about a mop but this one is worth writing a blog post about. I use this little spray bottle and I spray over a section of the floor that I can reach with the mop and I just go over it with the mop. The mop has enough weight that I don’t have to scrub or push on it or anything I just go right over it and then proceed over the entire floor doing one section at a time until I mop myself right out the front door. By the time I finish the 1,500 square feet of my main floor (about ten minutes) its dry enough for me to walk on what I first did. I beat all of my rugs to death then put everything back and I’m done. 1,500 square feet of clean hardwood floors I finish in less then half an hour. I throw the mop pad in my bin with my kitchen towels and just launder it like normal. 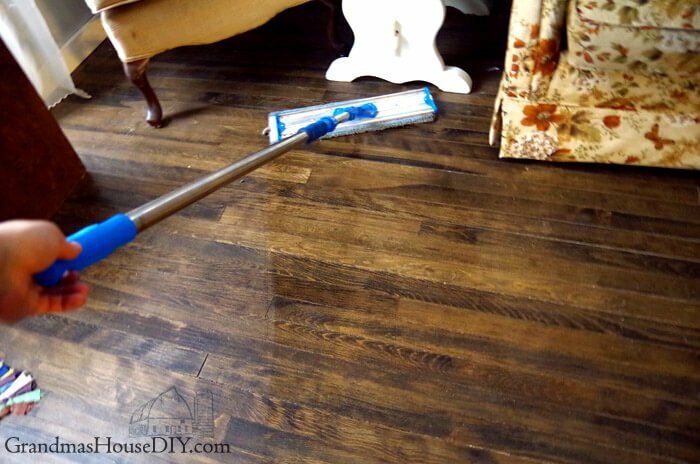 I will not (under any circumstances) say that I “enjoy” cleaning our floors but, between the mop and my surface spray, it is far less of a chore then ever. And the surface spray makes the floor just gleam and the whole house smells SO good when I’m done! 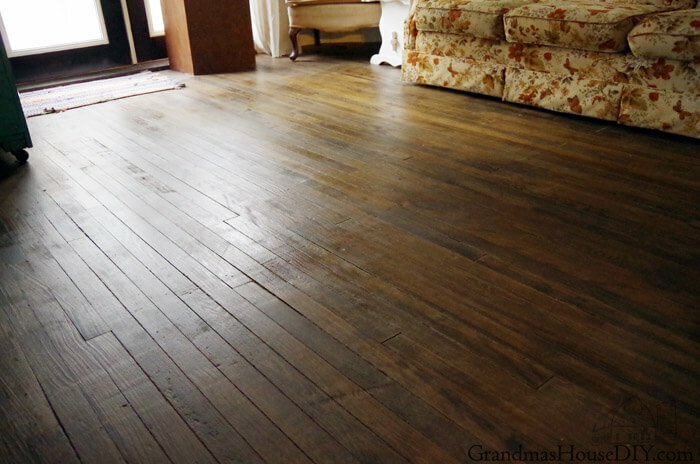 Do you have dark hardwood floors? What helps you stay sane when you can see EVERY little piece of dirt?! 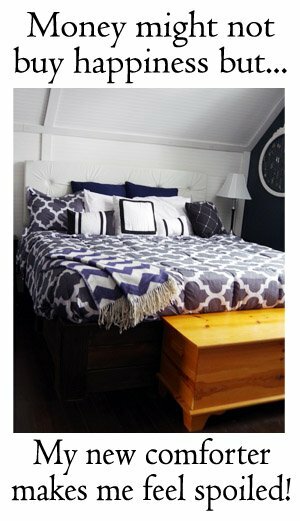 My floors aren’t as dark as yours & I have wood-print sheet vinyl, which I absolutely love by the way. I think all floors are hard to keep clean but solid surface floors just show the dirt so we clean them often. 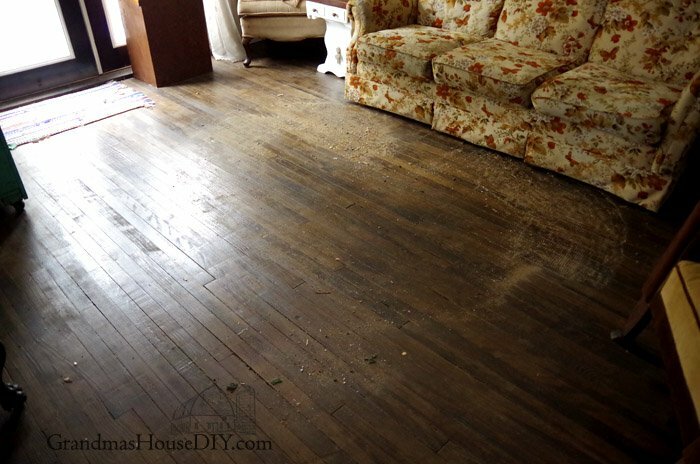 I hate to think just hwo dirty my floors stayed with carpet….I was oblivious to it! I have a simple Bissell upright vacuum for over all cleaning. It has a hardwood floor setting & doesn’t use bags so very easy to maintain. I do a quick vacuum as often as I can. I use a broom & dustpan like yours for edges but nothing is better than mopping. I use your method for quick cleans but try to do deeper cleans with a bucket, getting clean water often, maybe every other month or so depending on how messy the weather is! Hey Jenny, thanks for sharing your system with us! Do you put anything specific in the water when you do a deep mop? I’ve heard people say a combo of vinegar and liquid castile soap works good? Thanks for coming by, reading and commenting! We live on a main highway (so you can imagine the dirt…..!). Our outdoor mat is rubber, but made to look like wrought iron. So stamping on that shakes the dirt off and down through the holes. Just lift and vac every month or so. Then straight inside onto a magic mat that sort of eats mud, wet, dirt and that can be washed (although advise washing on it’s own in the machine!!). This way we don’t trail much dirt/sand/mucky stuff into the house. But I feel your pain! our dining room and kitchen is ceramic tile…. it shows everything, just like your floors, but hey ho, sweep it up and start again. Hey Susan, yup it is kinda funny, as soon as we’re done we just start sweeping again lol! Good to hear you found a balance like I did, at some point you just kind of have to look away. Beautiful floor! But you’re right, maintaining them is tedious but well worth it! I have a golden retriever so I have to vacuum my hardwood floors all the time. Mine are a medium stain so they don’t show as much dirt – but I know it’s there! Your cleaning solution sounds great and I am sure it smells great too. Thanks for the tip! Visiting from Imparting Grace link party. Thanks so much for coming by Shelley! Wow! 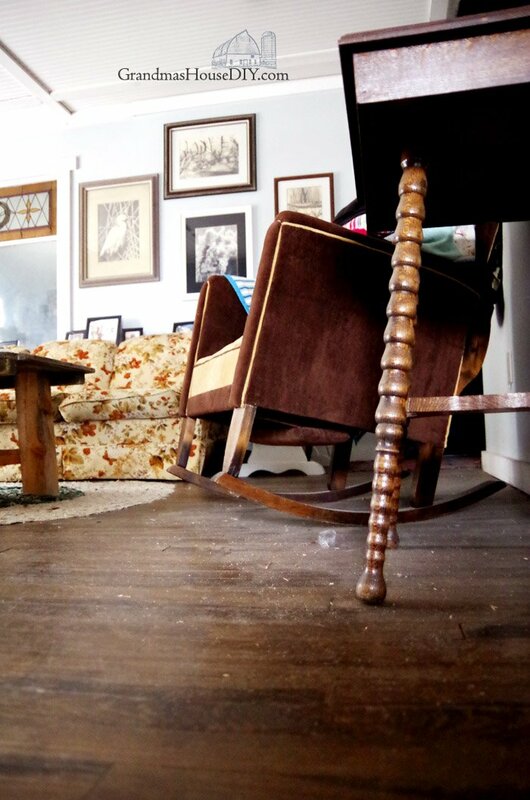 We have a much easier time with our hardwood floors–they are more of a honey color, and we live in Pittsburgh in the city where we apparently have a more well-behaved type of dirt! We have NO rugs. We sweep up crumbs in the kitchen and dining area every day and hit the central, exposed areas with Earth Friendly Products hardwood spray cleaner and a dry mop once a week, at least on the main floor. That keeps things looking pretty nice, really, except when we do a major cleaning and get under and behind the furniture–it is surprising how much dust and fluff can accumulate where we’re not looking! Great cleaning tips! I do something very similar. Thanks for sharing with SYC. I don’t think it’s intentional, but I’m not seeing a link back to the party. Hey Jann, I’m sorry about that! Is your party not listed at the bottom of the post? Hey Michelle, I may have to get me some of those, on hands and knees doing the staircase has become really old really fast lol! 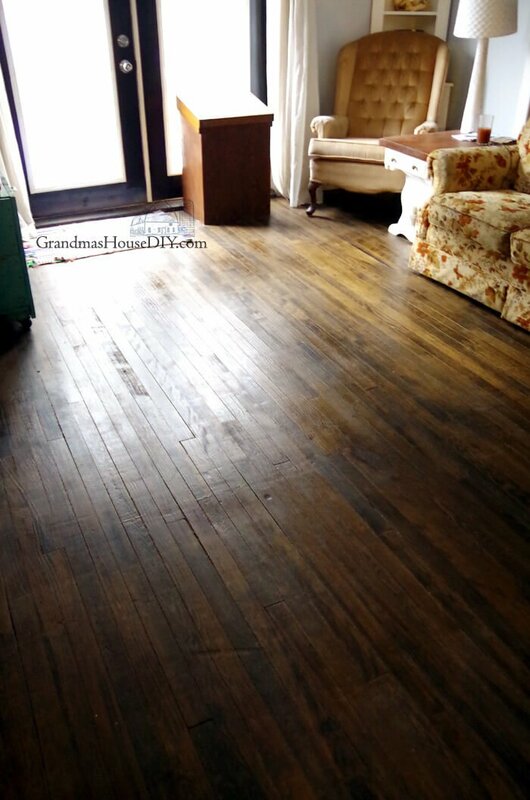 I have been using water and vinegar for my hardwood floors for over 6 years using cloth. 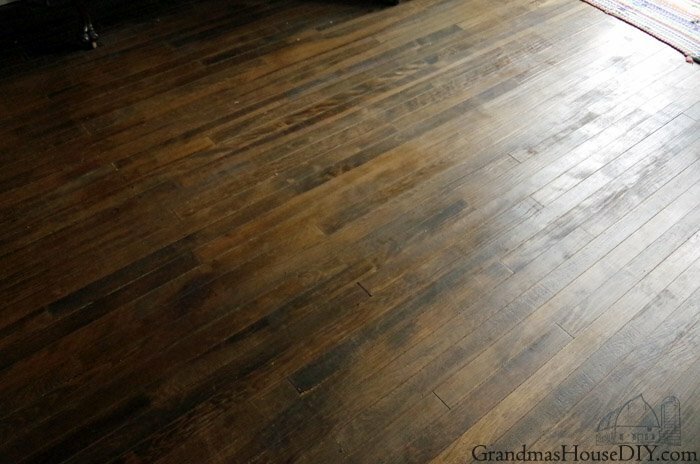 Is it safe for my hardwood floors.? Hey Clara, that’s what I do too, just a 50/50 mix of vinegar and a few splashes of essential oil, it does an amazing job! Great post on this topic. Hubs vacuumed the carpet three times this weekend. The carpet just traps the dirt. Love your floors! Thanks for sharing at Home Sweet Home. 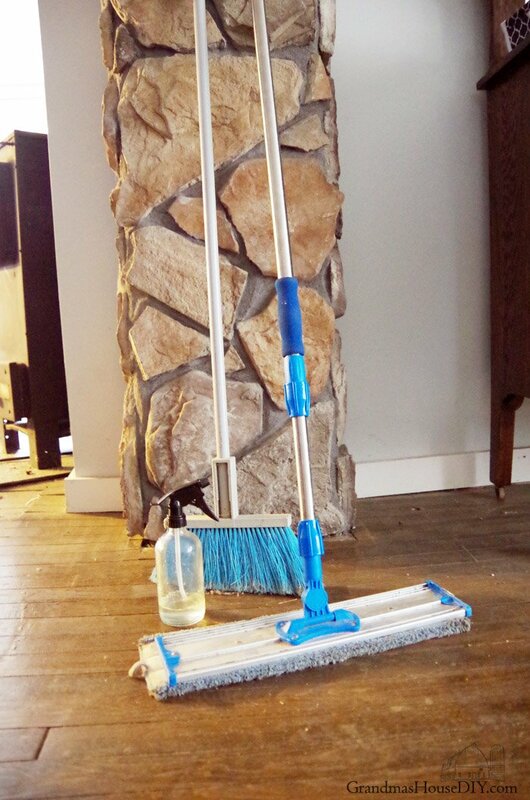 We have hardwood floors, and that giant mop is life-changing. Seriously. I often just use mine to dry dust the floors, and that picks up a lot of the dirt and fuzzes. I’ll have to try your surface cleaner recipe with it. Thanks! Rebecca, the right mop is truly like a miracle coming into your home lol I use mine as a dry duster too, just running it over the floors it is amazing how much it picks up! Nice post !! 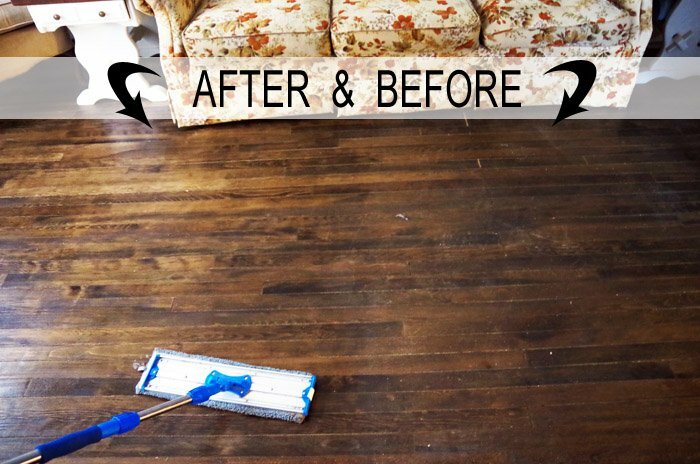 Getting the best way to clean hardwood floors will take few time and patience, but with the right tools and techniques, we’ll be able to keep our floors looking their best. Thanks Carrie, have a great week! 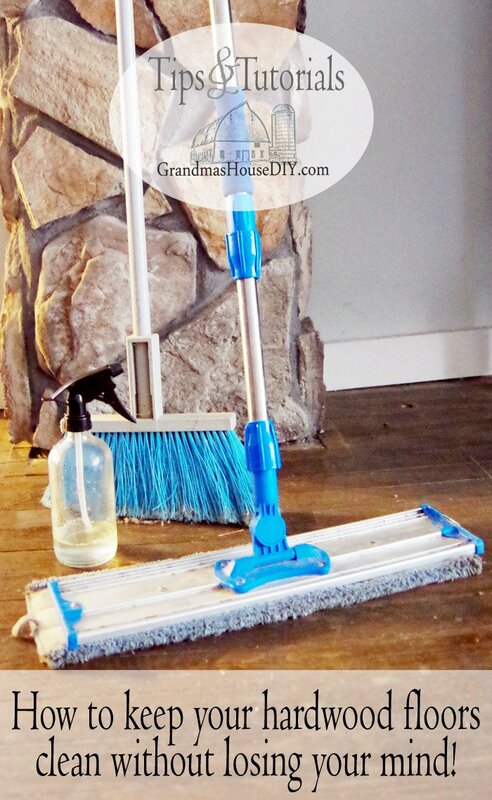 Thanks for all the great tips on cleaning hardwood floors. They are a P.I.T.A sometimes, but I much prefer hardwood floors to carpeting. By the way, you mention that you put your throw rugs outside so they can be beaten….can you tell me how you ‘beat’ your rugs? And where can I get a rug beater? I find that vacuuming doesn’t get as much out of the rugs as I’d like to believe…. Hey Jackie, unfortunately I actually do not have a real rug beater. I throw them over my railing on my deck and have used about anything imaginable including a golf club lol. It all works, mostly I just smack them and flip them on the railing a bunch of times. I saw a great video of a lady taking her rugs outside and using snow to clean them, I haven’t tried that yet but it looked like it worked! You are one admirable lady – I love it! Grit, grit and more grit, brains, beauty and you love hand and power tools! 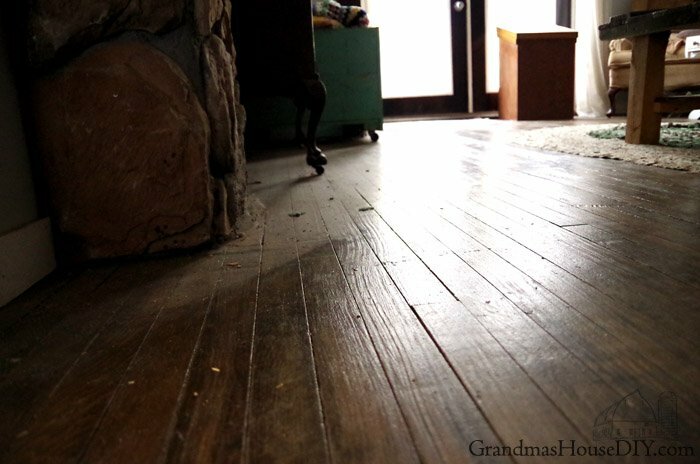 Just discovered you, a hint on seeing hardwood floor dirt – when you get to our age just take off your glasses LOL. As for cleaning the throw rugs, take the nozzle attachment to the air compressor and blow the dirt out 😉 Thank you so much for sharing! !